Open 24 hours a day, 7 days a week and 365 days of the year, the Blue Lagoon Lounge offers the excitement of a traditional casino/bar with the comfortable and relaxing atmosphere tucked into our little desert oasis right inside the Bayshore Inn property. 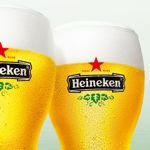 The bar offers an array of draft and bottled beer to satisfy those taste buds. Along with the king of suds, you can get any mixed drink or shot your heart desires. The best part about it is all drinks are FREE of charge while playing max coins in the machines. Chatter it up with the friendly bartenders and guests alike while sipping your tasty libations. Inside the bar arena are 12 big Screen Hi-def TV’s, showing the latest sports games or whatever current events may be happening. Visitors have complete control of the state of the art Touch Tunes Digital Jukebox so you can jam out while enjoying your cold cocktail of choice. The Blue Lagoon Lounge features an built-in Hot Video Poker machines which includes 5 cent 4-card Keno, Super 8 Race Game amazing 15 Video Poker, Slots and Black Jack machines right on the top of the padded counter. We even offer several machines that have a progressive jackpot too! Win over a $1,000 dollars on the quarter games while enjoying the upbeat atmosphere that we provide. 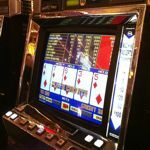 The Video Poker devices come with the variations you would expect from a full fledged casino like; Jacks or Better, Bonus Poker, Bonus Deluxe, Double Bonus, Double Double Bonus, Triple Bonus, Deuces Wild, Deuces Wild Bonus and Aces Bonus. The machines are in denominations of 25¢, 50¢ and $1 with max coin being $1.25, $2.50 and $5.00 respectfully with the ability to bet from 1 to 5 credits. All payouts are paid immediately from the polite onsite staff, so take a seat at the bar and hit a Royal Flush or 4-of-a-kind right in the comfort of our non-stop lounge. We’re not done yet, to keep the fun rolling off to the side is a 6-foot pool table at only 50 cents a game for the hustlers among us. 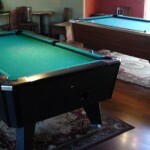 It’s a fully equipped pool room with a variety of sticks and chalk with an ample seating arrangement. Right in the general vicinity is an electronic dart board with many game variations, plus…3 coin-op video games, retro style, including; Bowling, Golf and a Trophy Hunting shoot-um-up where you rummage around the wilderness looking for those deer and bears. Whatever your desire, the Blue Lagoon Lounge offers players, gamers, drinkers and gamblers the exhilaration and fun without having to leave the grounds at Bayshore Inn. Come in and join us day or night and get the thrill ride you deserve.